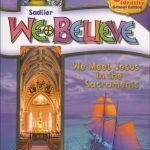 The RELIGION text, We Believe, published by Sadlier, focuses on meeting Jesus in the Sacraments. Students gather in prayer through Scripture and song. Each lesson presents the truths of the Catholic faith found in Sacred Scripture and Tradition, and in accordance with the Magisterium of the Church. The content of faith is presented in ways that are age-appropriate and varied. Students are called to live out their discipleship among their peers, their families, and their communities. Through weekly attendance at Mass, students will hear God’s Word and be challenged to live as followers of Jesus! An assessment is given after each lesson, following a review in class. Class participation and projects enliven the learning process. Families are invited to share in their child’s learning through the online resource www.webelieveweb.com. Grades are based on class participation, projects, homework, and tests. This year we are using the READING series from Houghton Mifflin Harcourt entitled Journeys. During the fifth grade year, students will enjoy a variety of different literary forms including the following: realistic fiction, fantasy, historical fiction, folktales, biographies, poetry, and plays. Students will learn to recognize examples of figurative language such as idioms, similes, metaphors, alliteration, and personification. Comprehension and study skills are also an important part of the curriculum. In addition to our Journeys textbook, the fifth-grade students will complete two novel studies. During our novel study units, the novel in focus will be our main text. The ReadnQuiz (RQ) program is another important aspect of the fifth-grade language arts. RQ is an online reading assessment program that allows students to choose a book to read from award winning children’s literature. After reading a book, the student completes a short online test which assesses the student’s reading comprehension. All tests are taken in school during library. In ENGLISH/WRITING, we use the Houghton Mifflin English text to gain a deeper understanding of the four elements of language arts: reading, writing, speaking and listening. Key grammatical concepts such as the parts of speech and sentence structure will be the main focus. Students will also develop a thorough understanding of writing and sharpen their writing skills by using the writing process and by focusing on the six traits of writing (ideas, voice, organization, word choice, sentence fluency, and conventions). As we progress through the year, students will complete multiple written pieces including narratives, descriptive writing, expository writing, and poetry. The skills learned in English/writing are reinforced, reviewed, and strengthened by daily homework assignments. Our MATH text is Progress in Mathematics published by Sadlier-Oxford. The first part of the year involves increasing the student’s knowledge of place value, addition, subtraction, multiplication, division, and fractions. It is crucial that at this point, addition, subtraction, multiplication and division facts are mastered. The remainder of the year will focus on probability and statistics, decimals, measurements, geometry, and percentages. Problem-solving and real-life application of the content are emphasized daily by having the students practice these skills during class, for homework, and on their assessments. Homework is assigned daily and is due the next class day. Grades are based on in-class work, homework, quizzes, and tests. SPELLING: Using the text Spelling and Vocabulary, students will learn words for reading and writing. They will be given a unit assignment in the spelling book each week. Homeroom teachers will give due dates for this assignment. A final assessment is given weekly. SCIENCE: Our text is interactive Science by Pearson. The fifth-grade curriculum includes the Nature of Science and all three areas of Life, Earth, and Physical Sciences. During the year they will be doing activities, such as experiments, that support and strengthen their understanding of these areas. They will learn to think like a scientist and test their hypotheses. Grades are based on homework, projects, quizzes, and tests. We also support and encourage the students to participate in the Science Exchange. SOCIAL STUDIES: Our text, Building Our Country focuses on the United States, combining history and geography for an in-depth study of the development of our nation. Through blended learning, students will connect and experience the discovery of the new world, the forming of a new nation, and the growth, struggles, and expansion of this nation. Students will participate in cooperative learning. Students will have homework frequently. Formative assessments throughout lessons, as well as quizzes & tests, will assess progress. Art: The Visual Arts Program at St. Hugo offers students a variety of experience in different areas of art such as Drawing, Painting, Ceramics, Digital Design, and Sculpture. Art history is also a key component of the art curriculum. Teaching is based on the elements of art and the principles of design. Projects are centered on artists and correlate with classroom instruction. Computers: Students in fifth grade will focus on using application tools to produce a product. 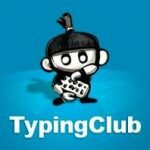 They will begin by improving keyboarding and by practicing using word processors, presentation software, search strategies with browsers, and spreadsheets. Activities in the lab will be closely tied to real-life classroom products. Students will continue to demonstrate proper etiquette, behavior, and body position when using computers. Library: Students focus on How to find information on their own, Library Computer Catalog, Magazines, ReadNQuiz, Weekly Book Trailers, Author of the Month, Databases and participate in March is Reading Month activities and the “Book Battle” throughout March. What is a book battle? Book Battles are where students read books and come together as teams to demonstrate their abilities and knowledge of the books they’ve read during March. Student competitions are similar to the TV show Family Feud. Students in this grade check out 2 books to take home for 2 weeks. Music: emphasize Music Appreciation and Vocal Music, learning about prominent composers, musical form and some elements of music theory. Students will perform songs from Music Express Magazine, Music K-8 and Spotlight On Music. Grade 5 provides music for the St Hugo of the Hills annual Healing Mass in May. In addition to general music, 4th & 5th graders may continue their instrumental studies in the Beginning Band & Concert Band. Band students have multiple performances: Christmas, Spring Open House, and a Spring Concert/Awards Ceremony in May. Physical Education: students we will continue to work on skill development with more of an emphasis on complex movements while adding group skill practices and onto controlled group/team games. Spanish: students look at the history of the Spanish language and its impact on today’s world.